We’ll be presenting our Go Local Bike Tour at the Bellingham REI on Thursday, February 25 at 6:30pm. Also being presented that evening is a bike tour from Bellingham to San Francisco. 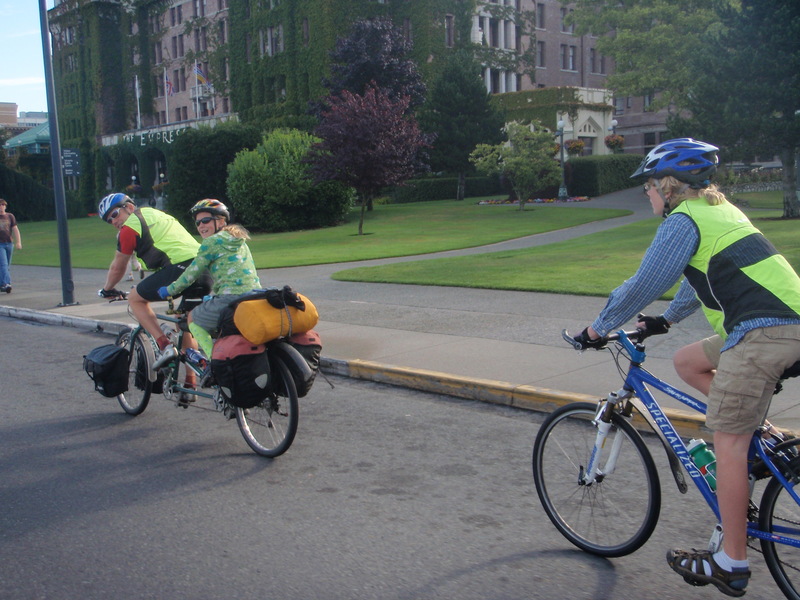 Last summer we pedaled away from our house, and focusing on using bike trails and ferry links, two parents and two pre-teens pedaled 400 miles in a circle tour from Bellingham, Washington to the Olympic Peninsula to Vancouver Island and back home. While we have a few tips for thinking local, and a couple funny stories to relate, mostly we want to encourage other families to cycle tour. It is an amazing way to travel an area, meet interesting people, and spend time together as a family. We find bicycle touring to be incredible do-it-yourself family adventuring. Hope you’ll try it!